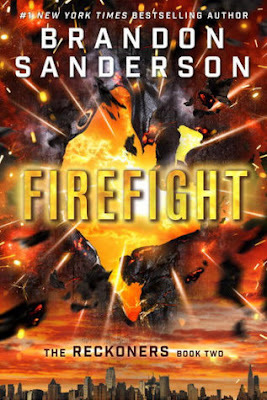 From the #1 New York Times bestselling author of Words of Radiance, coauthor of Robert Jordan's Wheel of Time series, and creator of the internationally bestselling Mistborn Trilogy, Brandon Sanderson presents the second book in the Reckoners series: Firefight, the sequel to the #1 bestseller Steelheart. I was not a fan of this book until about page 300, then BAM Brandon Sanderson punch to the face. Seriously though I was like "Brandon this isn't you, why so slow and meticulous?" Then all of a sudden I'm on a Sanderson roller coaster ride, a sander-coaster if you will. THE ENDING OF THIS BOOK IS SO GOOD. Ugh, how dare I doubt you Brandon. 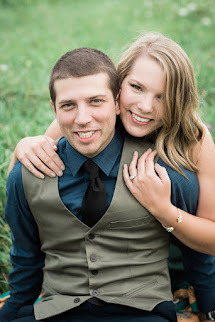 Honestly, as if you would ever let me down. Do you know what I hate though? "Sparks" as a swear word. Killed me. The entire book. Hate. It. Now I have to wait for the third, and it is the most unfortunate news of my week. Maybe I'll just go read mistborn again. Steelheart will completely keep you guessing! This book has so many crazy mysteries and twists. And even though I guessed a few of them, there was still that burning desire to see if I was right! So I had to keep reading! If you're into superheroes, dystopian books, epic badas$ rebels, explosions, and crazy motorcycle car chases, you NEED to give this book a go!